Getaround Reviews - Is This Peer-To-Peer Car Sharing Service Worth It? Getaround’s car sharing service is a great way for individuals to find and access nearby cars while skipping car rental agencies, and it can be a way for you to make money by renting out your car to Getaround users. Getaround Review: Is This Peer-To-Peer Car Sharing Service Worth It? Getaround is a car sharing service available in 10 cities, through which you can list a car and set its availability or you can find a car to rent. According to the Department of Transportation, there are a billion cars around the planet that sit unused 96% of the time. “We’re enabling car owners to share their car when it would otherwise be parked,” Getaround co-founder Jessica Scorpio said in the promotional video. Scorpio, along with founder and CEO Sam Zaid and founder Elliot Kroo, managed to pitch their idea to some influential investors who provided money to help the company grow. Among the company's investors are former Yahoo CEO and President Marissa Mayer as well as movie star Ashton Kutcher. In this review, we’re going to analyze how Getaround works (app, renting, insurance), talk about the pricing and then compare it to competing car sharing company, Turo. At the end of our review, we’ll talk about how you can use this app to your advantage, whether you’re renting your car or looking to rent someone else’s car. You can use Getround through your web browser or via the company's app, which is available in the iTunes and Google Play stores. Setting up an account only takes a few minutes and, if you’d like, you can use your Facebook account to log in. If you want to rent a car on Getaround, all you have to do is enter the address or city you’re in and the site/app shows you results for available cars in the area. For example, we did a search for cars in Seattle that were available for eight hours three days from the time at which we searched. Getaround showed us more than 30 options ranging in price from as little as $28.95 for a 2011 Honda Fit and as much as $65.44 for a 2016 Lexus NX 200t. We tapped on the Honda Fit for more details. The car’s page showed, among other things, the location of the vehicle, the car’s features as well as rules about pets (yes) and smoking (no). Each driver gets to decide if they allow pets or smoking and you can search specifically for cards that meet these criteria. In order to rent the car, you’ll need to provide a credit card number as well as your driver’s license information, as Getaround has to verify that you’re legally allowed to drive. Also, they’ll conduct a background check of your driving history. The feeling we got when we searched cars was that the experience is similar to Airbnb in the way that you find cars and book them. When you finalize your first booking, Getaround will charge you two fees and then one fee on all subsequent bookings (more on that later). If for some reason, you have to cancel your rental, you have one hour to cancel without any fees. This is helpful if you get a rental and the pickup time is less than 24 hours away. Now, if you book your rental more than 24 hours in advance, you have up until 24 hours before the pick-up time to cancel without paying any fees. Once you get within 24 hours of picking up your car, then you’ll lose 50% of what you paid. If you cancel after the scheduled pick-up time, you lose all of your money. When you choose to share your car out to people through Getaround, the process is a little more complex than going to the site to find a car to rent. When you submit your car to be a rental on Getaround, you’ll need to provide an availability schedule as well as a description of the car, its features and any requirements you have for pets and smoking. For example, we read one car description that said no smoking was allowed in the car and that there would be a $500 fee if there was evidence that the renter had smoked in the car. So, as you can see, their standards are such that the people renting your car are guaranteed to get at least a newish car with low miles and no alterations to the car’s appearance or engine that may endanger them. Once the company approves your car, they’ll swing by and pick up your vehicle so they can install Getaround Connect™. The Getaround Connect™ device allows your renters and you to unlock your car via the Getaround app. For example, when someone rents your car, the company will send them the exact location of your vehicle They show up and use the app to unlock the car with what amounts to a digital key. Also, you have a digital key that you can use to unlock the car remotely in the event that the renter is having issues or there’s an emergency and you need to get in the car. The advantage you have with Getaround Connect™ is that you can unlock your car wherever you are, whether on the same street, in the same city or in another state. This service comes at a cost, though, which we’ll explain in a few seconds. The company’s fine print notes that, if you live in the state of New York, you need to have your own commercial policy that covers up to $1 million. Should you have to file a claim with that policy, Getaround says they may be able to cover the cost of your deductible up to $1,000. Getaround calculates the cost of renting your car and provides that number the renter. As we pointed out earlier, the renter pays Getaround via credit card. Getaround will add up all the rentals you earned over the course of a month and then pay you on the 15th of every month. What people pay to rent your car and what you actually get paid are two different things because Getaround takes a substantial fee, which we’ll discuss in the next section. Getaround charges several different fees for using their service. These fees fit into two categories: fees for renters, and fees for those renting their car. Every time that you book a car, you’ll pay a $1 booking fee. Also, you’ll pay a $10 license fee the first time you rent a car. The license fee covers the cost of Getaround doing a background check on your driving history. You also need to be aware of the gas fee. As the renter, you’re responsible to fill the gas tank to the level it was at when you picked it up. Getaround suggests taking a photo of the gas gauge upon pickup so you have a record of where it was at. If you return the car without refilling the car to the level it was at when you picked it up, you’ll be charged the cost of the gas required to refill the car as well as a $15 fee. 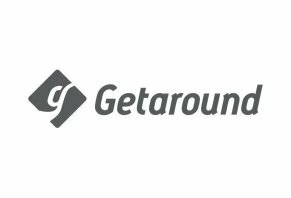 If you decide to offer your vehicle for rental, then you’ll pay a $99 one-time set-up fee for Getaround installing Getaround Connect™ as well as a $20 monthly subscription fee. Also, Getaround takes a 40% cut of what people pay to rent your car. So, let’s say people pay $1,000 to rent your car over the course of a year. You’ll see $600 of that. And, when you add in the cost of Getaround Connect™, you end up $360 ahead of the year. If it’s your first year using the service, then your total income minus the set-up fee is $261. Whether or not Getaround is the right choice for you has a lot to do with how much you anticipate making. Let these income projects help guide you through your decision. One of Getaround’s main competitors is Turo. While sharing the same rental car concept, the two companies are very different. For example, Getaround leverages their Getaround Connect™ to allow people to come to your car to rent it, whereas Turo lets people go to your car or allows you to deliver it. Also, Turo requires its renters to have a minimum auto insurance score, which is something they calculate that tells them how reliable of a driver you are. When it comes to drivers getting paid, Turo has a sliding scale for the percentage it takes based on the insurance you choose. Turo provides a $1 million liability insurance policy, which means they’ll cover you up to $1 million if, for example, someone holds you liable for a car accident and sues you. The policy doesn’t cover damage to your car, though. To get insurance coverage for your car, you’ll have to choose between a few tiers that Turo offers and, consequently, how much you earn from your rental profit depends on which plan you choose. Turo notes that your profit is 65%-85% and, if you provide your own commercial insurance policy, you can earn 90%. Also, Turo vehicles are available in 5,500 cities in the U.S., Canada, U.K., and Germany; their selection is far greater than what you have with Getaround. Getaround, on the other hand, simplifies everything by packaging all your insurance needs into one product and charging a flat 40% fee. However, their $20-per-month subscription cuts into your profit. If you value being able to remotely rent out your car, then that $20 monthly fee may be worth the time you save in having to meet renters in-person. We believe that Getaround is a great choice for you if you want to rent your car in the most hassle-free way possible. While you’re going to pay a $20 monthly fee and the company takes a 40% cut of your profit, you have the luxury of knowing that you don’t have to run around town meeting renters. And, in this sense, we believe that those who want to put in the least amount of work to rent out their car will be the ones who can best leverage this app to make money. However, you have to keep in mind that there’s no way to guarantee how much money you’ll earn from Getaround, Turo or other rental apps. Understand that, for the first few months, you may not earn enough to balance out the $99 Getaround Connect™ fee. That’s a risk you’ll have to take in order to find out if Getaround is right for you. Write a Review for Getaround!